Two variants will be on offer at launch, with the 2.0-litre twin-turbo 4-cylinder petrol 330i offering 190kW of power and 400Nm of torque, with the rear wheels driven by an 8-speed sports auto transmission. The 320d is powered by a 2.0-litre twin-turbo 4-cylinder diesel engine that produces 140kW of power and 400Nm of torque, again in rear wheel drive, and with the same gearbox. On the outside, BMW has undertaken a raft of design tweaks to modernise the whole look and feel of its flagship compact sedan, with a new look single-piece kidney grille and twin adaptive LED headlights as standard. The interior too has been re-imagined, with redesigned controls and high-quality materials, and cutting-edge infotainment with BMW’s Live Cockpit Professional, 12.3-inch digital display and 10.25-inch touchscreen Control Display. A newly engineered suspension system returns the 3 Series to its class-leading driving dynamics while an M Sport Package is also offered as standard equipment. Pricing starts at $67,900 for the 320d and $70,990 for the 330i, plus on-roads. 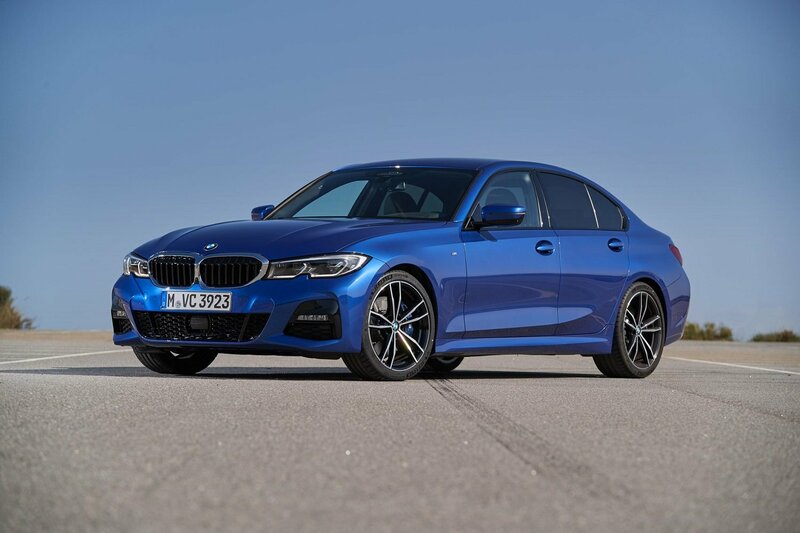 “The BMW 3 Series Sedan has been a stalwart of the brand since its 1975 introduction,” said BMW Group Australia CEO, Vikram Pawah. “It took the notion of a compact sports sedan and redefined it, particularly in the area of driving dynamics. Since the first-generation the 3 Series has truly embodied what ‘The Ultimate Driving Machine’ is all about,” he said. For BMW, those values are represented by impressive performance, luxury feel and the latest in technologies. “With the seventh generation 3 Series now imminent, we can assure you that these values have been even further enhanced. We cannot wait to see them on the road in 2019,” he said. A range of optional add-ons, including an M Sport Plus Package that adds a rear spoiler and M Sport seat belts among other items, a Visibility Package, Comfort Package and Driver Assistance Package, are also available.